Check out our NEW Daniel Drive location (at Charles Pointe). 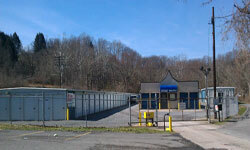 Rentals at this location can be done conveniently on-line at the link below. "Beside Provence Market and Food Fresh"
©2015 Bridgeport Storage LLC. All Rights Reserved. Site designed and hosted by Solitary Solutions, Inc.